A Wii U rating for the first Super Mario Galaxy has appeared on the ESRB. Based on that information, we could be seeing an eShop release soon as a Wii download. 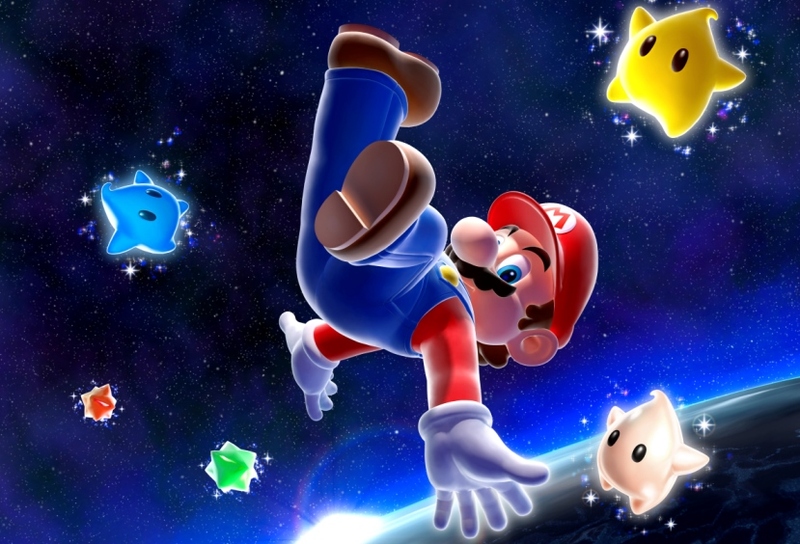 Wii U owners in Japan have had access to Super Mario Galaxy since late May. While the second entry is out in all territories, the original one has yet to come west. Thanks to DJMusicClues for the tip. The International Age Rating Coalition is something that we’ve previously spoken about. This system, which is already live on the likes of Google Play and the Firefox Marketplace, allows developers to collect ratings for various territories at no cost. Rather than having to submit games to different classification boards such as the ESRB (U.S.), PEGI (UK), and USK (Germany), they’re only sent in once, and you receive different ratings in return. Renegade Kid co-founder Jools Watsham was recently advised by his source that he should have Dementium Remastered rated through the IARC system, and that it’s coming “very soon”. Based on that information, it seems as though the system will be up sooner rather than later – likely weeks instead of months. 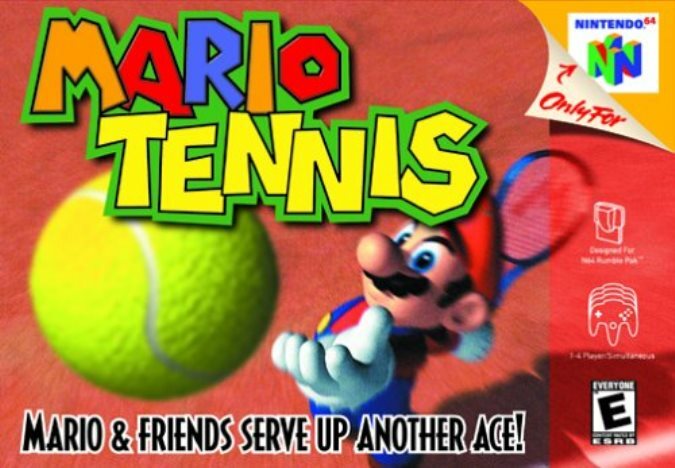 Mario Tennis for the N64 has now been rated for Wii U on the ESRB. Keeping in line with similar listings, this should be a sign that the game is heading to the Virtual Console very soon. Mario Tennis could be coming to the Wii U eShop as early as this Thursday given previous ESRB ratings. We’ll let you if we come across additional news pertaining to its launch. New Super Mario Bros. could be coming to the Wii U Virtual Console soon. A rating for the game popped up on the ESRB, which usually signals that a release is on the horizon. It wouldn’t be too surprising to see New Super Mario Bros. on the eShop this Thursday, though we’ll have to wait for the latest Nintendo Download report to see what’s heading to the VC. Update: Confirmed on Nintendo’s website! Klonoa 2: Dream Champ Tournament comes out tomorrow on the North American Wii U eShop for $6.99. 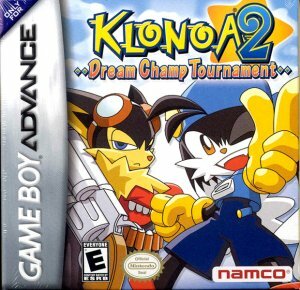 Could Klonoa 2: Dream Champ Tournament end up as this week’s North American Wii U Virtual Console game? Quite possibly! The ESRB has now rated Klonoa 2: Dream Champ Tournament for Wii U, so we could see it on the eShop as early as tomorrow. Stay tuned! F-Zero GP Legend appears to be making its way to the North American Wii U Virtual Console. A rating for the game popped up on the ESRB website, meaning a release could be happening in the near future. Europe already has access to F-Zero GP Legend. The game arrived in the continent back in January. 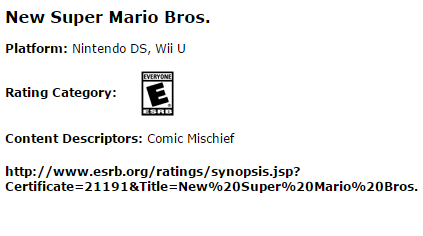 The GBA version of Super Ghouls ‘N Ghosts has now been rated for Wii U by the ESRB. It’s likely a sign that the game will be released soon. No date yet, but we’ll let you know when we hear something. Adventures of Lolo for 3DS has received a rating over on the ESRB. Might the game be releasing in North America soon? 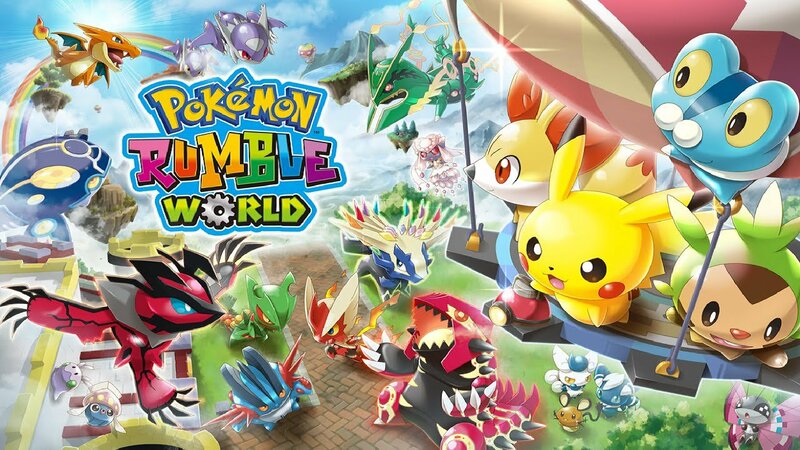 It’d be neat if it popped up on the eShop this week! Three more Virtual Console titles have been rated for release in North America. On Wii U, we can look forward to Mario Party Advance and Super Mario World: Super Mario Advance 2. The ESRB also rated Super Mario Bros. Deluxe for 3DS. It’s currently unclear when exactly all of these retro titles will be launching. Given their ratings though, this could be a sign that they’ll be available in the near future.